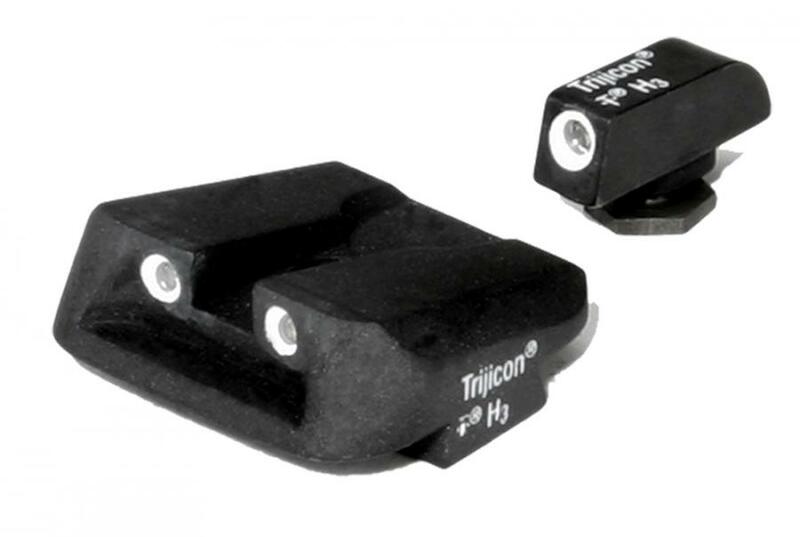 Complete 3 Dot night sight set for the Glock automatic pistols. Plastic blades are replaced with all steel blades with night sights. Fully warranted for up to 12 years. Construction for strength starts with a tritium filled glass lamp core which is surrounded by a silicone shock cushion. This is further protected within an aluminum sleeve that is faced with a hard, polished sapphire window.